According to the Bureau of Labor Statistics, the demand for graduates with a bachelor’s degree in hospitality management is on the rise, with growth of 11% expected through 2026. Positions for meeting, convention, and event planners expected to grow at a rate faster than average. Earning a bachelor’s degree online in hospitality management is a great way to advance in the industry while continuing to work and take care of family obligations. Due to the nature of the field, work hours and schedules are flexible and the job is fast paced. To be successful in the field, professionals need to be able to adapt to changing trends and consumer expectations. 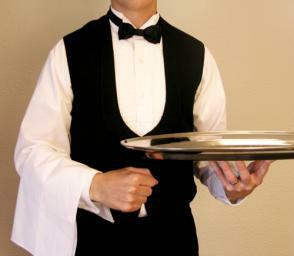 There are dozens of hospitality bachelor’s degrees online offered in the United States. We created a ranking of the top 10 programs based on information from the National Center for Education Statistics and the Accreditation Commission for Programs in Hospitality Administration. To be included in our list, programs need to be accredited by ACPHA and offer an online program with minimal on-campus residency requirements. Programs selected for consideration are taught by experienced faculty, offer a well-rounded curriculum, hands-on training, and provide students with mentoring or guidance while in the program. We then developed a ranking methodology that included net cost, student to faculty ratio, and overall graduation rate. The top 10 schools made our list. Where there are ties, the school with the lower net price is favored. 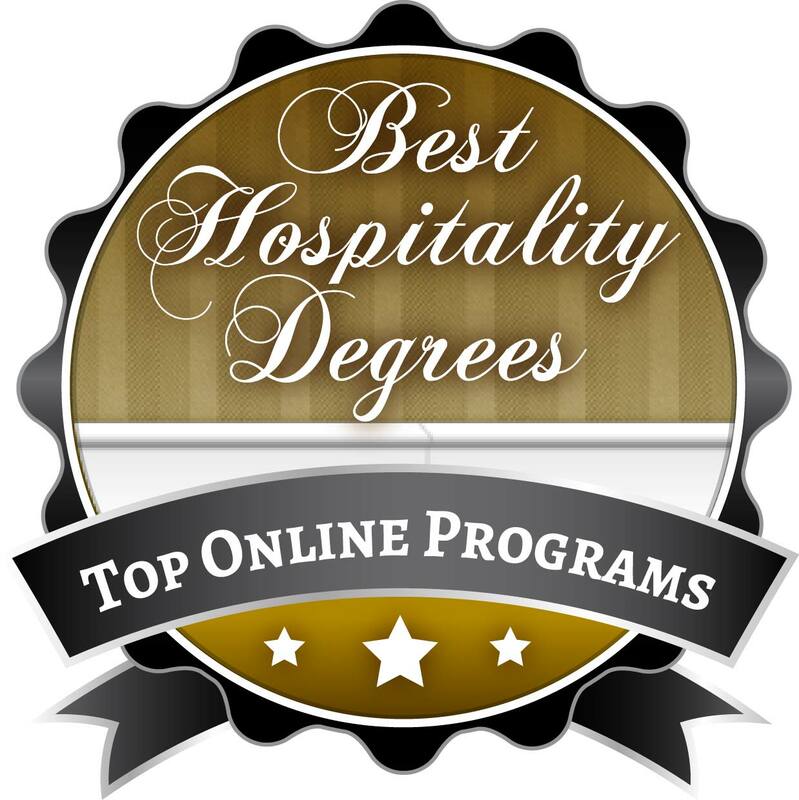 Below are the 10 schools that offer the best hospitality bachelor’s degree programs. Palmetto College at the University of South Carolina features a Bachelor of Science in Hospitality Management online. It’s a two year program for full-time students, longer if part-time. It’s for students interested in a career in general tourism, food service, or hotel management. Hotel, Restaurant, and Tourism is the number one industry in South Carolina. Students are encouraged to use their talents and skills after graduation at one of the thousands of destinations around the state. The online Bachelor’s of Applied Science in Hospitality Leadership is an ACPHA accredited degree program. It’s for students who want to hold leadership positions in hotels, country clubs, casinos, and resorts. Open to students who hold an AAS in hospitality management or culinary arts, it can be completed in two years of full-time study. Students have the opportunity to participate in a paid internship, working three different positions throughout the 750 clock hour experience. Elective course offerings in areas like club management and convention sales allow students to customize the program to meet their professional goals. Online students benefit from working with experienced advisors and joining professional organizations. Graduates have found success working for companies like ARAMARK, Hyatt, and The Cheesecake Factory. 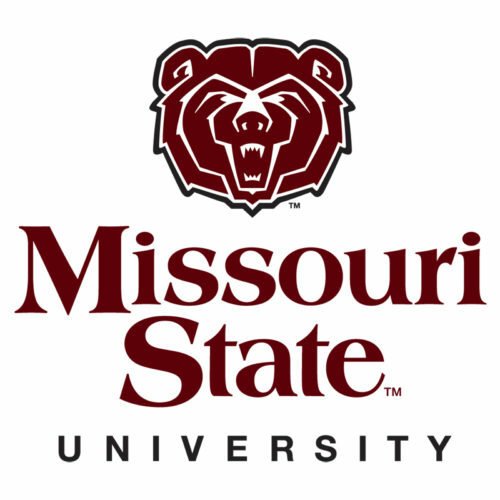 The College of Agricultural Sciences at Southern Illinois University Carbondale features an ACPHA accredited online bachelor’s in Hospitality and Tourism Administration. The program is available to students who have completed an associate degree. Students with a passion for event planning and management can choose to concentrate in that area, applying coursework to their bachelor’s in HTA. A field experience/internship opportunity is offered to students during the summer semester to gain valuable hands-on experience. 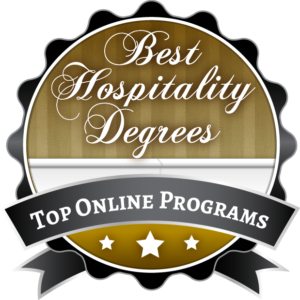 The University of Wisconsin Stout features a top online Bachelor’s in Hotel, Restaurant and Tourism Management. It’s one of the oldest programs in the world. Courses are delivered in a 100% online format by full-time faculty with industry experience. Students benefit from consistent program course offerings during the fall, spring, and summer semesters. Online students are supported by a team of professionals, including Adult Student Services Coordinators and Online Faculty Advisors. They help guide and navigate students through the program. The university has over 100 agreements with hospitality businesses around the world. Students have access to unique internship and co-op experiences that prepare them for the workforce. Students complete extensive hands-on training through internships and work experience requirements. The program is nationally recognized by the Council on Hotel, Restaurant, and Institutional Education. food and beverage cost management. Faculty are experienced industry professionals, teaching students the latest trends and business strategies in the field.